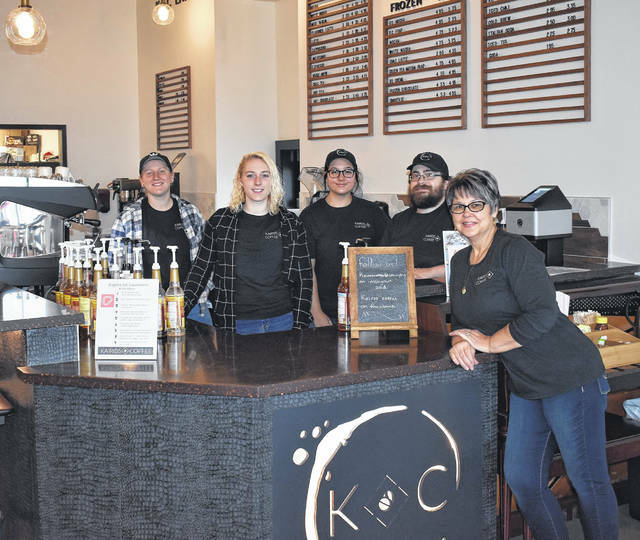 From left, manager Ciera Hayes, Maraya Wahl, Abbey Morris, co-manager Nick Daulton, and Kairos Coffee co-owner Robyn Morris welcome locals during their soft opening Thursday at 1593 Rombach Ave., Wilmington. For more information, visit https://kairoscoffee.net/ . 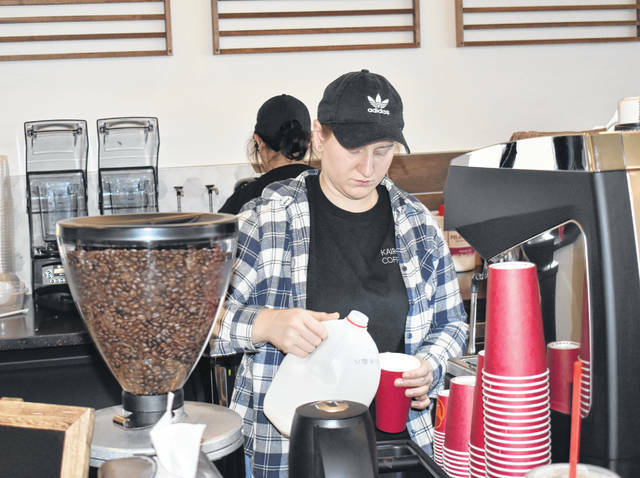 Manager Ciera Hayes prepares a chai tea for a customer during Kairos Coffee’s soft opening on Thursday.